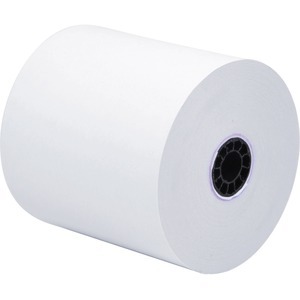 Thermal receipt paper roll features direct thermal technology to provide fast, noise-free printing with a low cost of ownership and small footprint. High-quality, BPA-free construction produces rich, legible results at all print speeds for excellent readability. End-of-roll indicator lets you know when the roll is near the end to prevent unexpected depletion. Plus, its easy-to-install design eliminates any frustration during replacement to quickly replace depleted rolls.